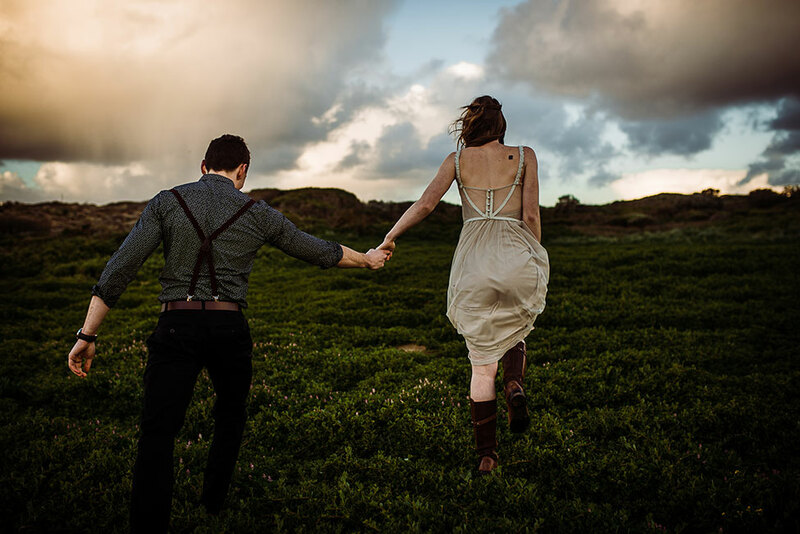 There are few things that, from a creative standpoint, get me out of bed in the morning. 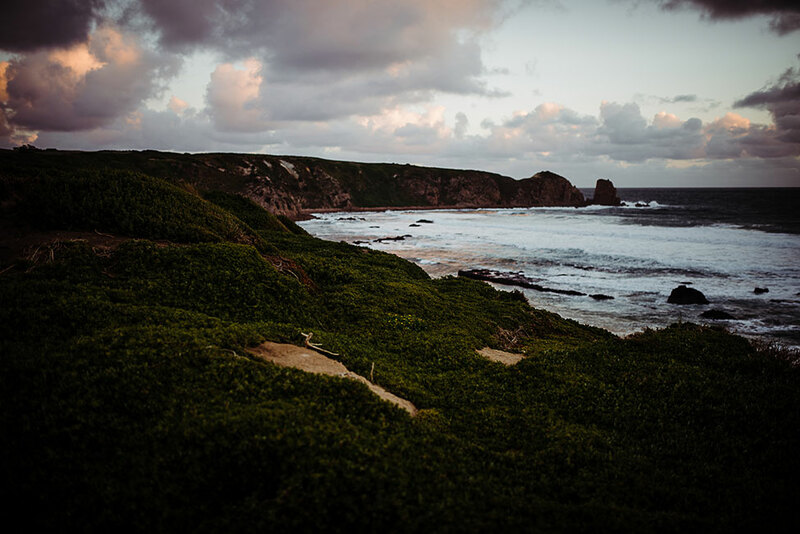 Rather I should say, there are few things that lock me snuggled into bed as I dreamily glide through each image, entranced by what I see. 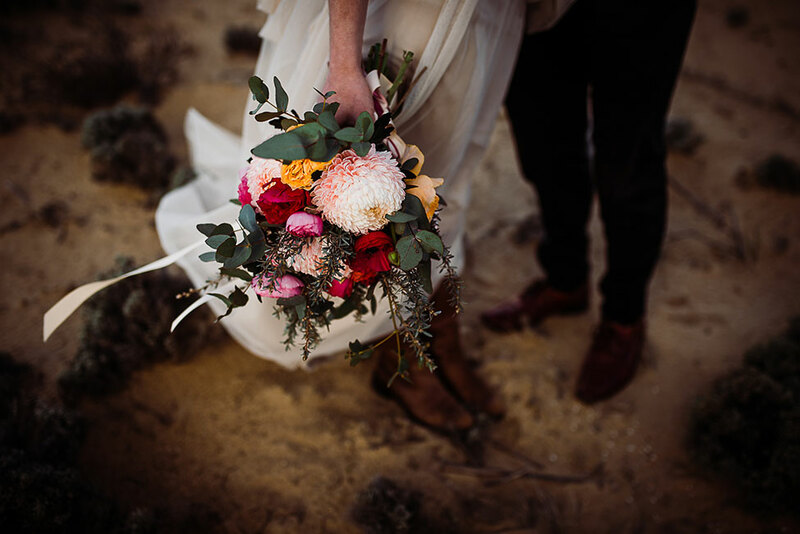 Moody, earthy artful yumminess is certainly on that short list. 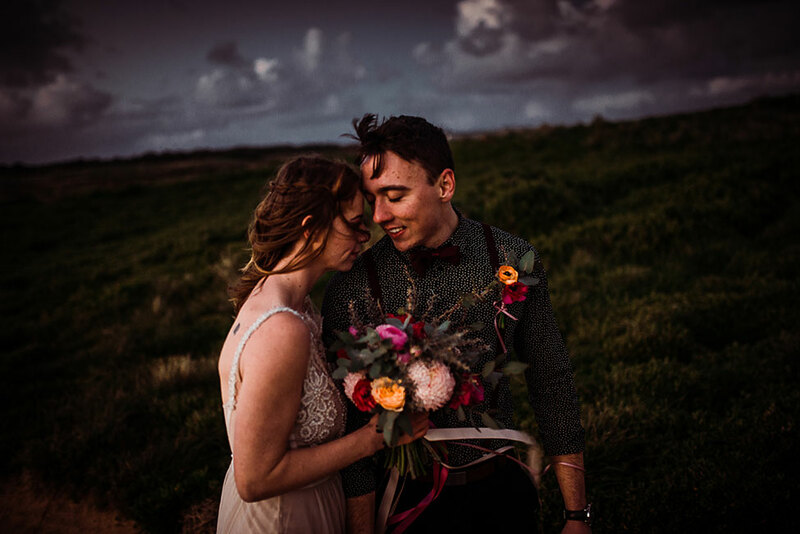 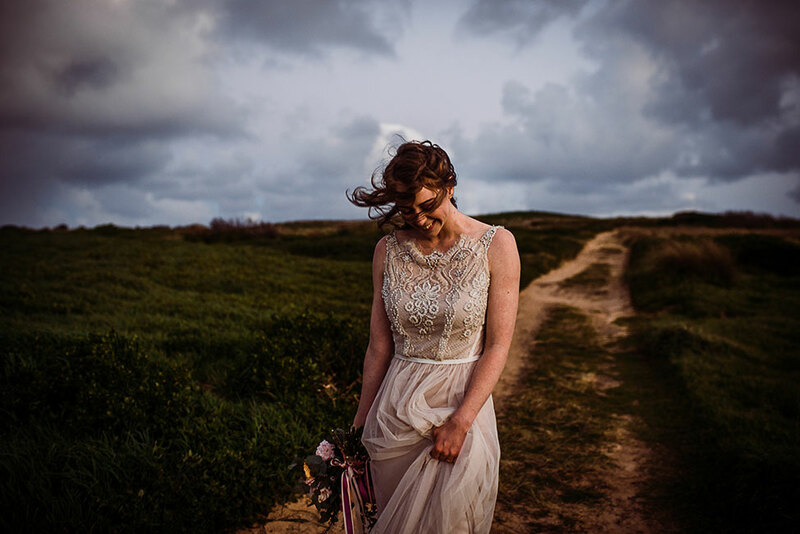 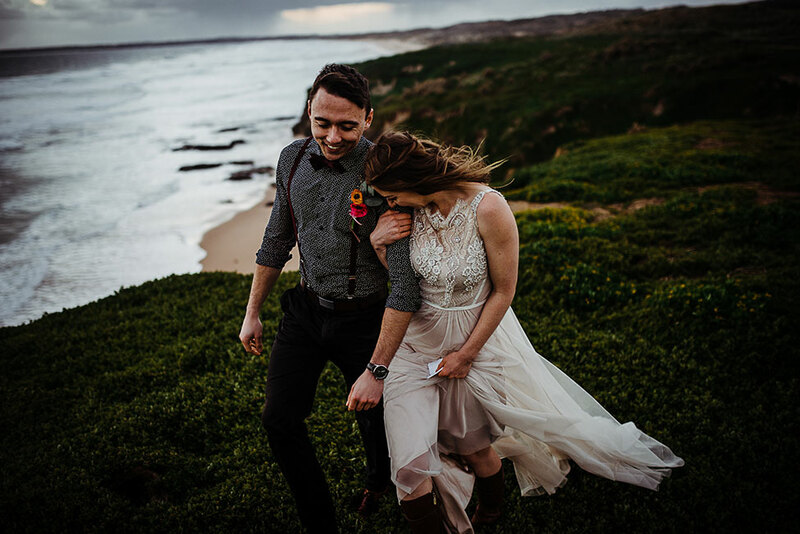 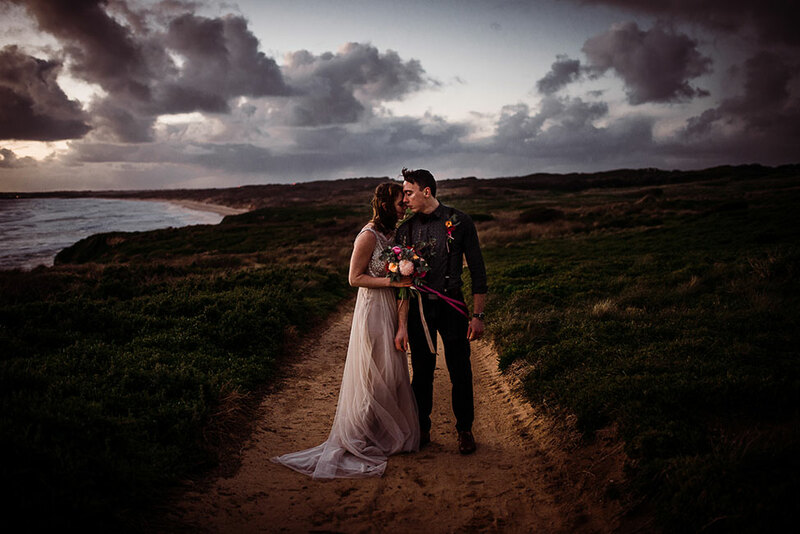 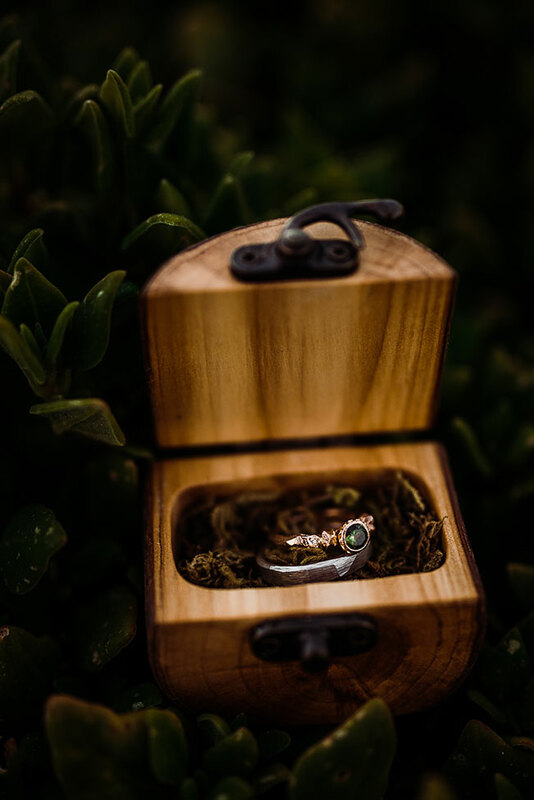 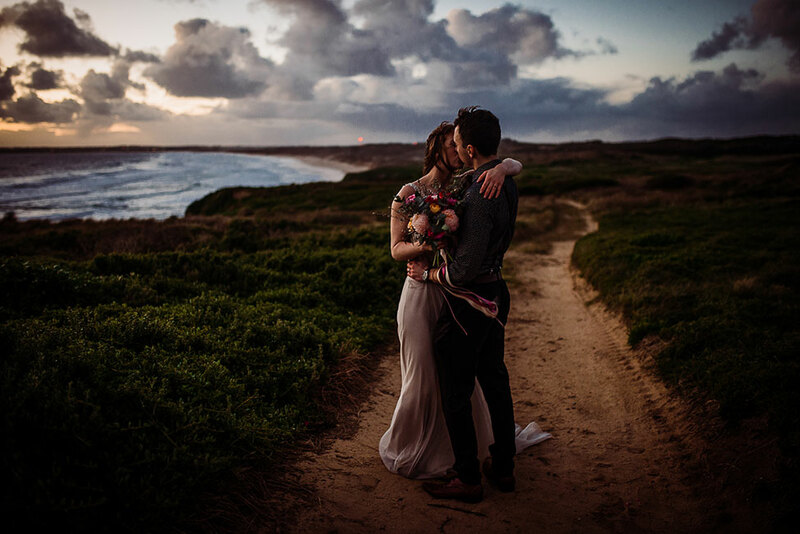 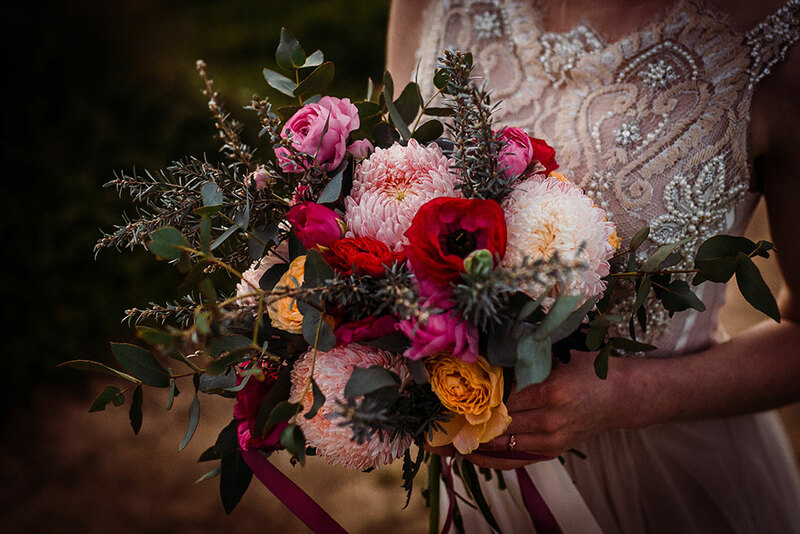 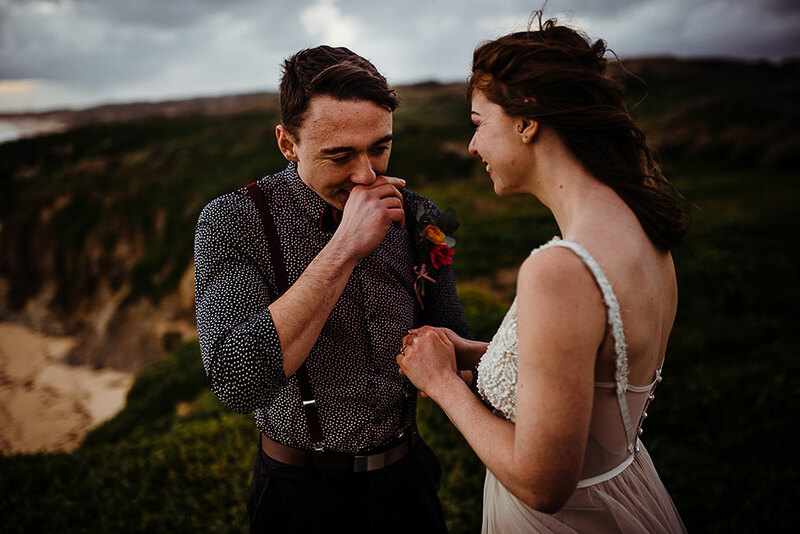 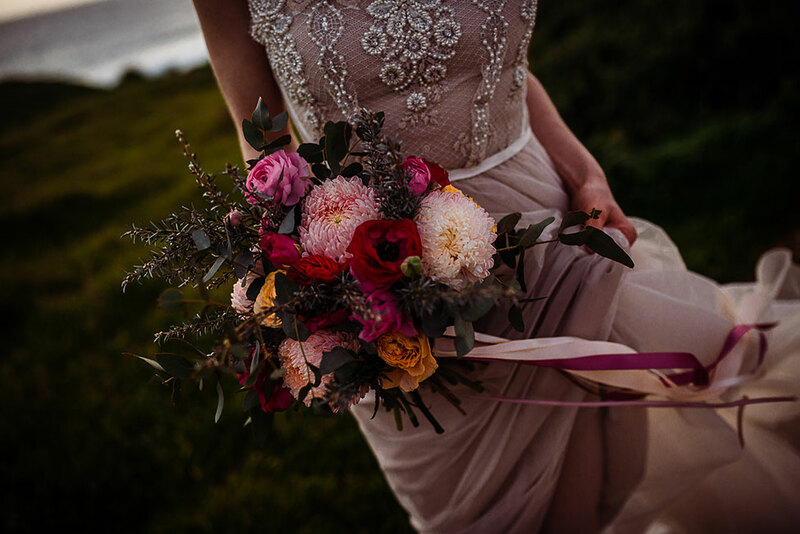 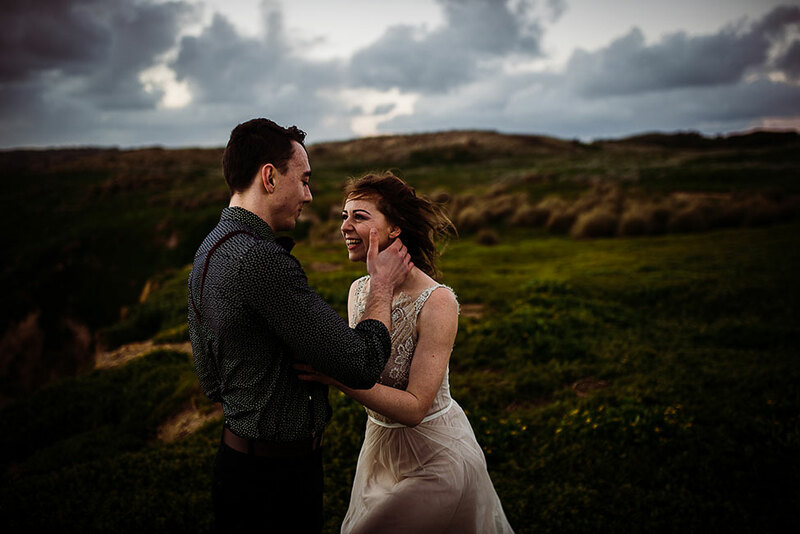 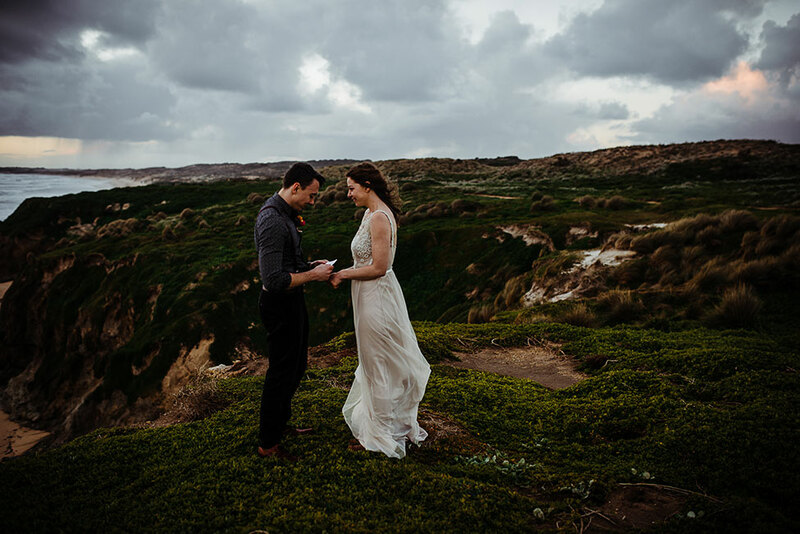 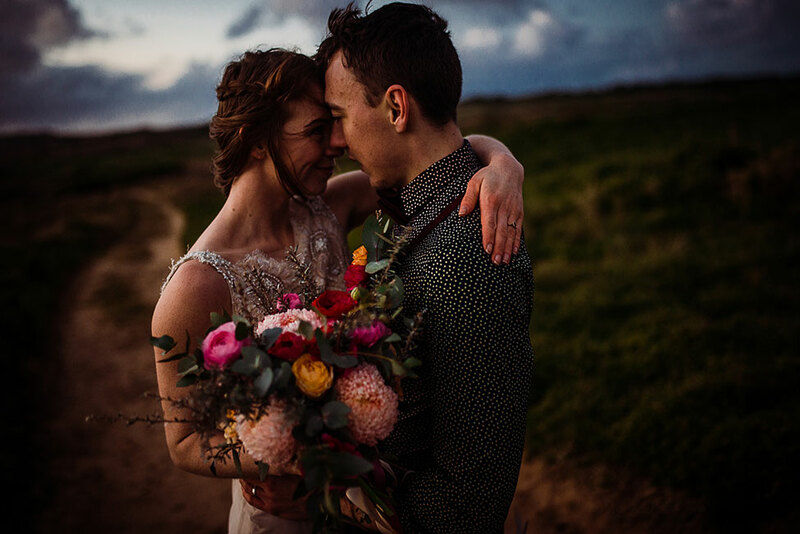 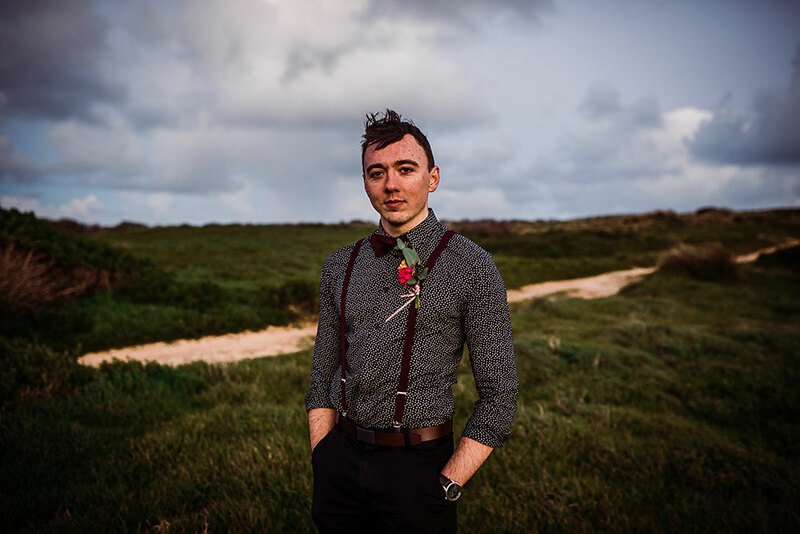 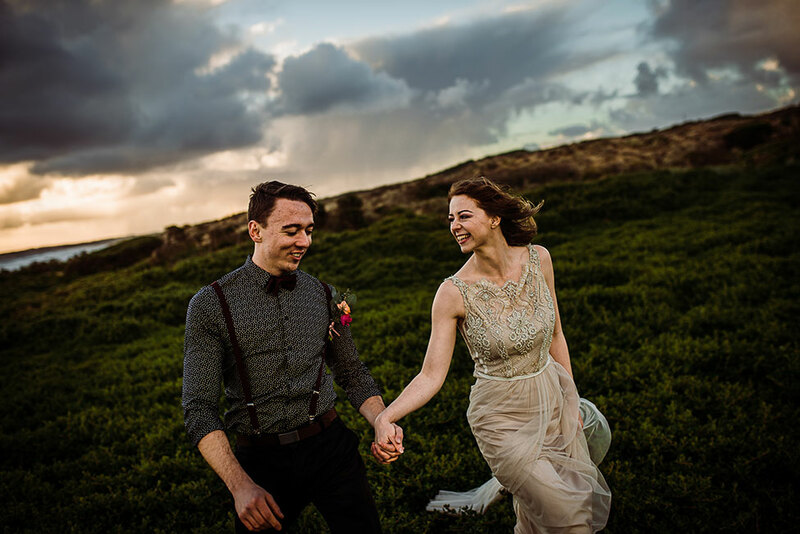 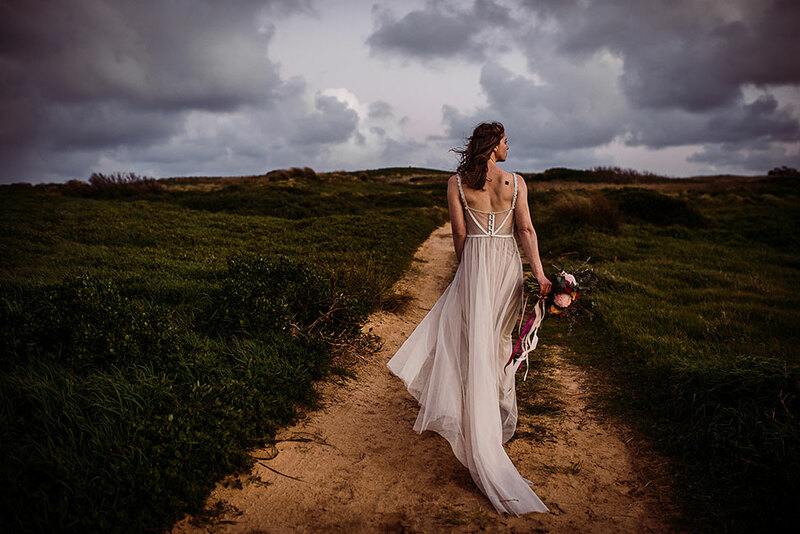 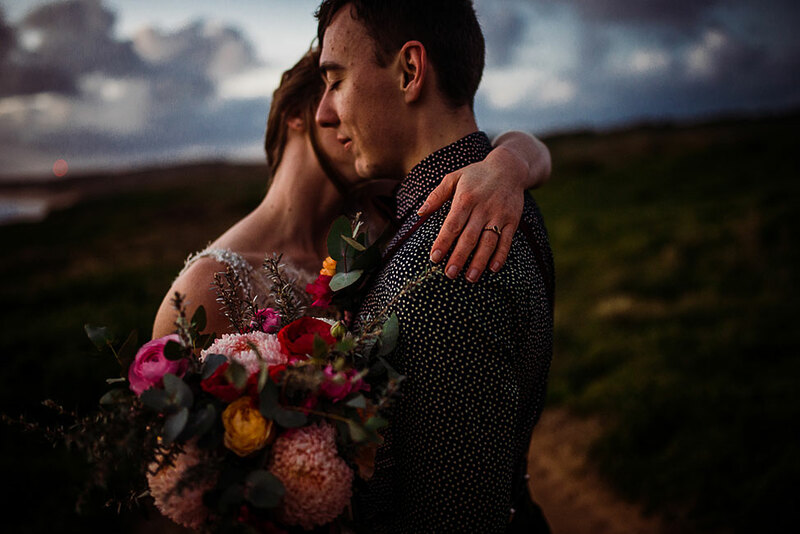 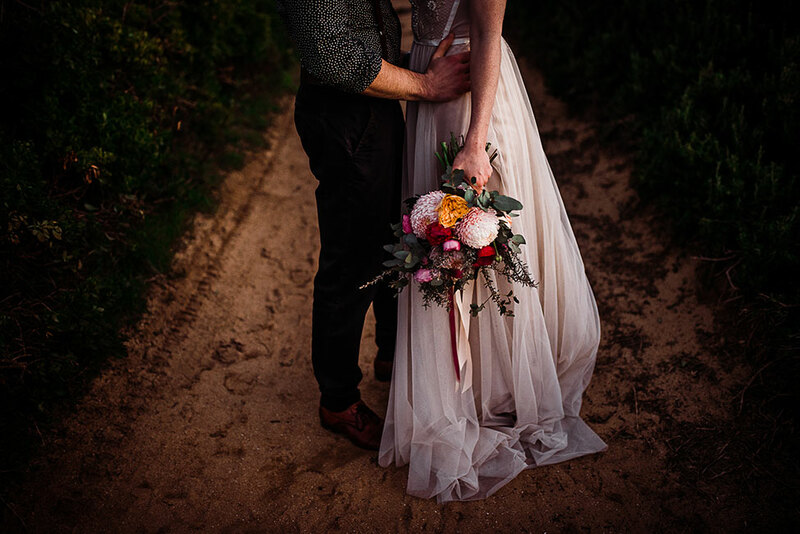 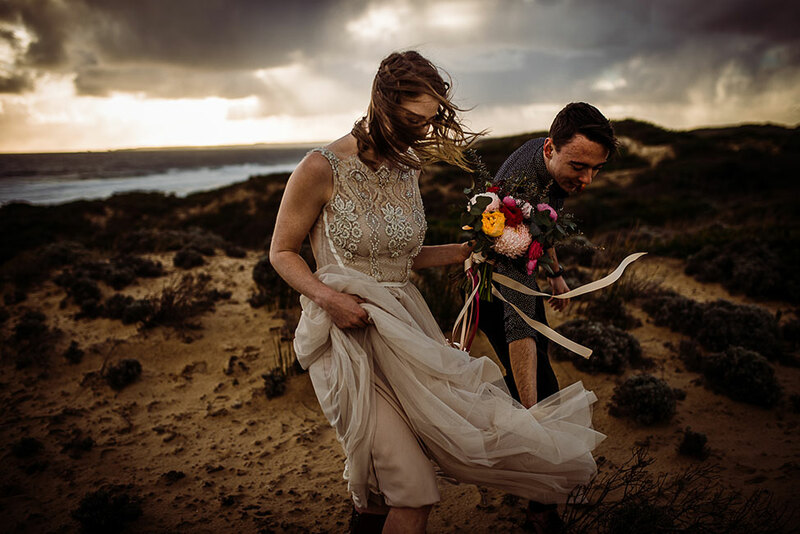 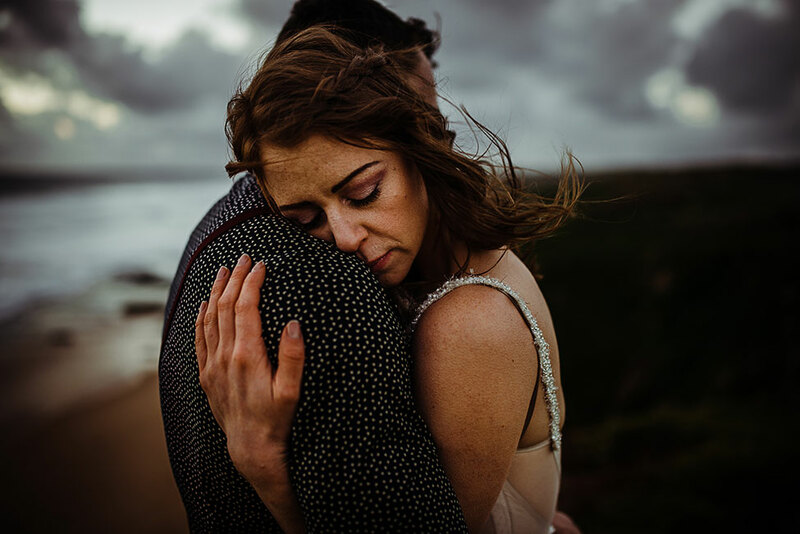 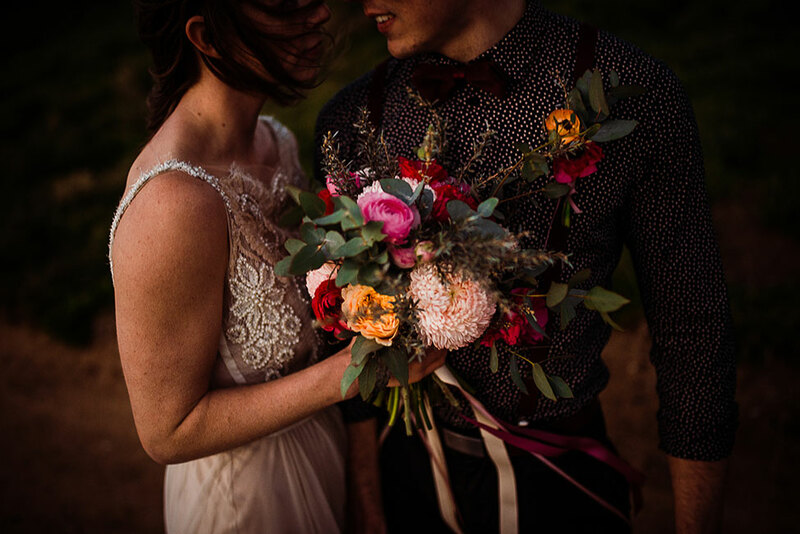 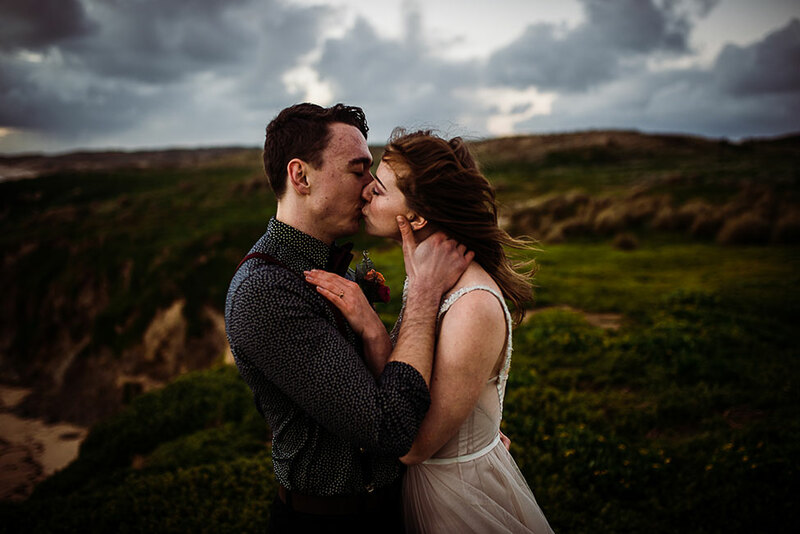 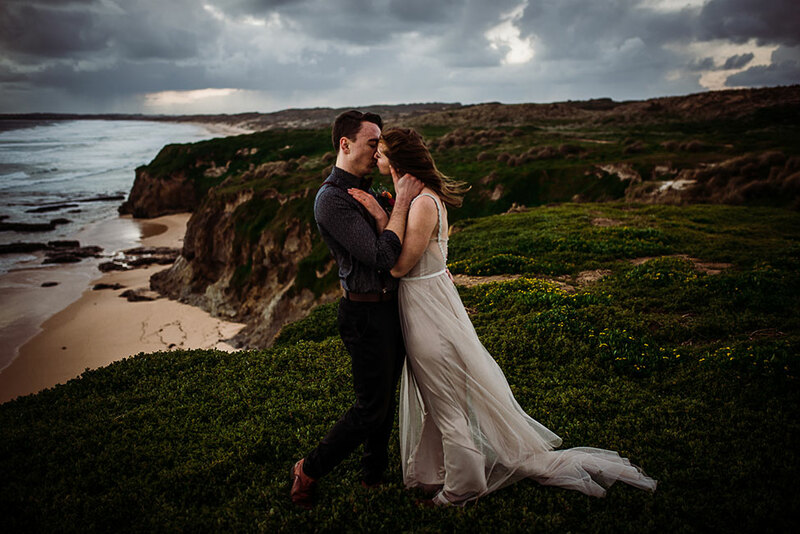 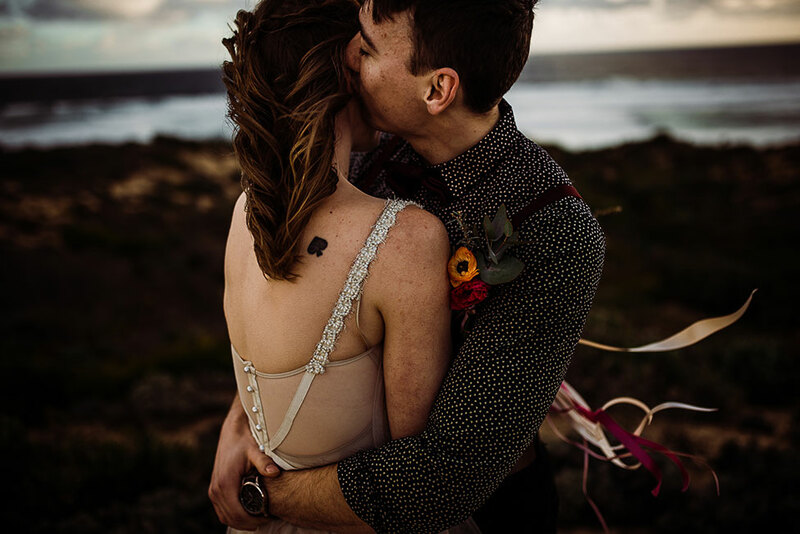 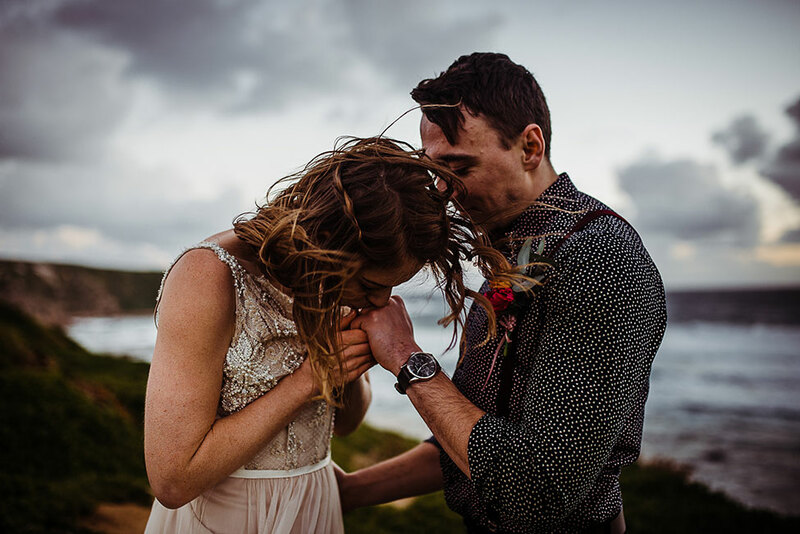 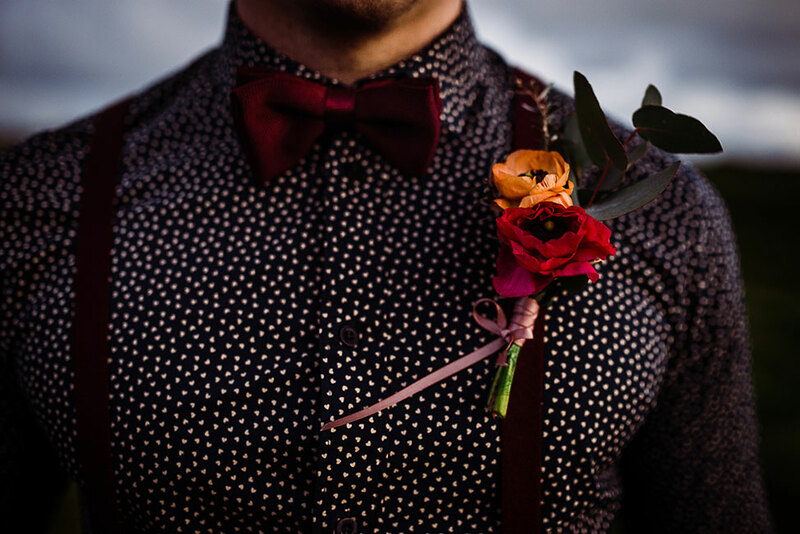 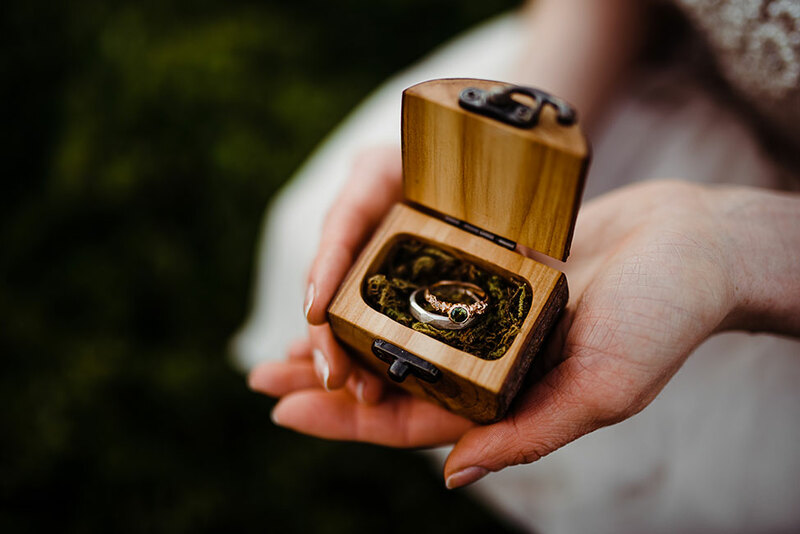 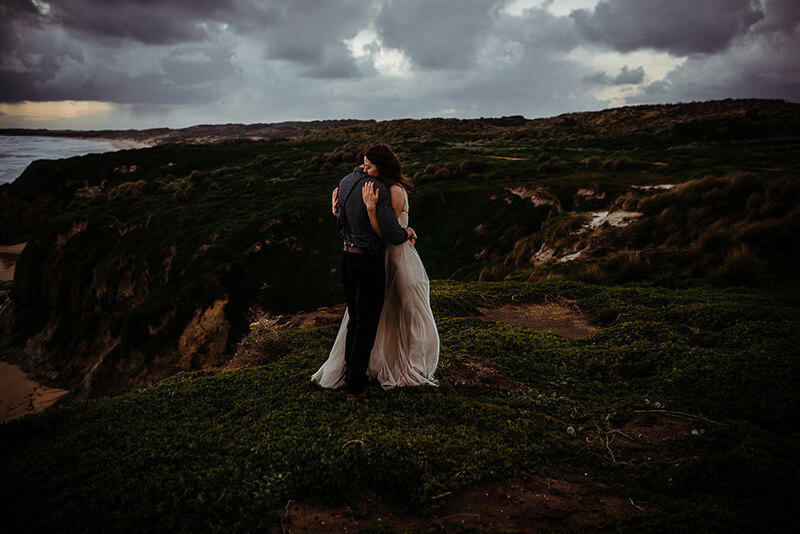 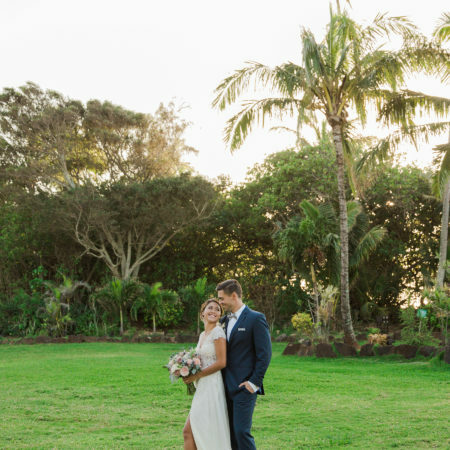 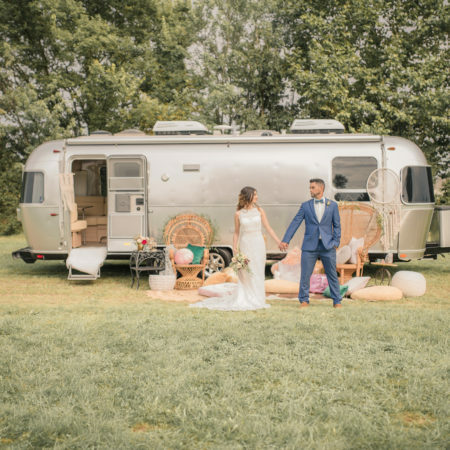 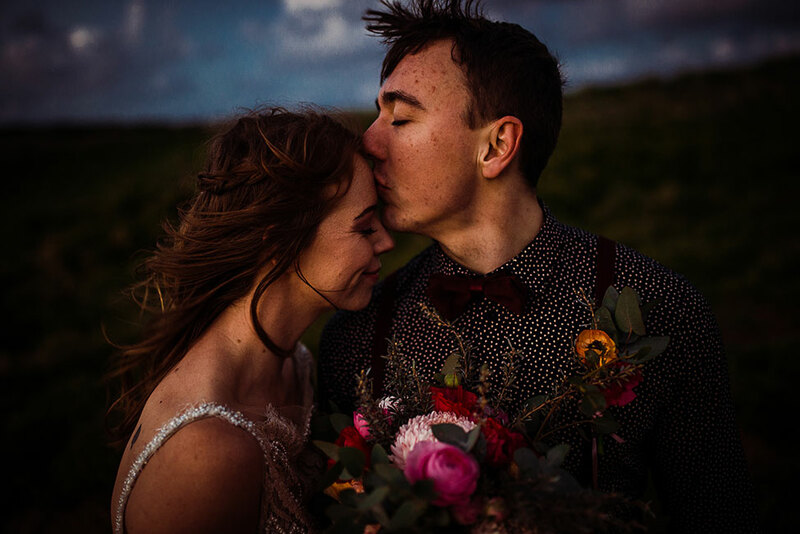 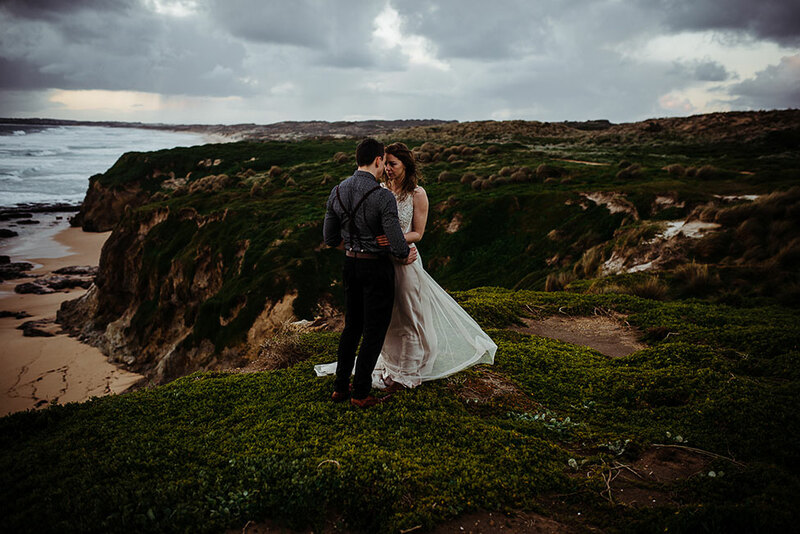 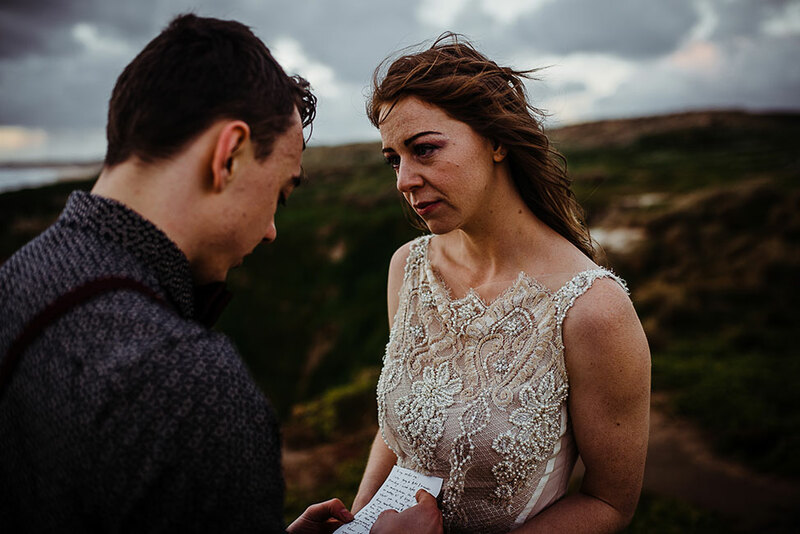 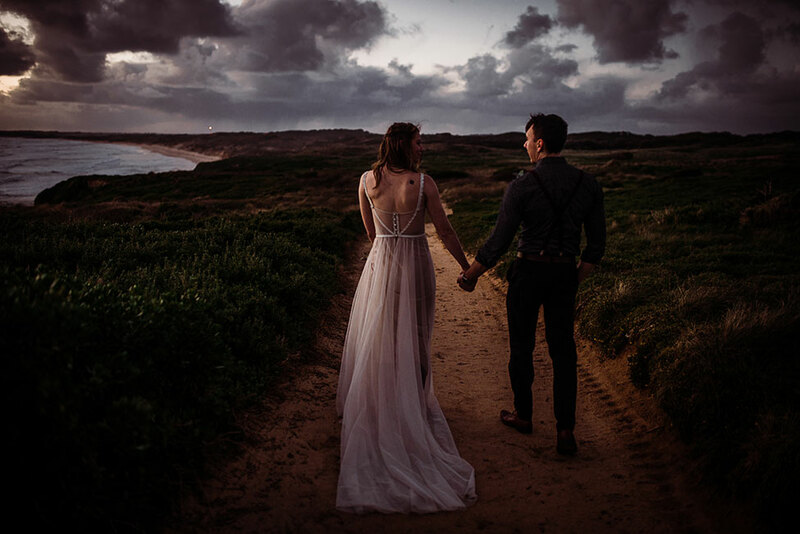 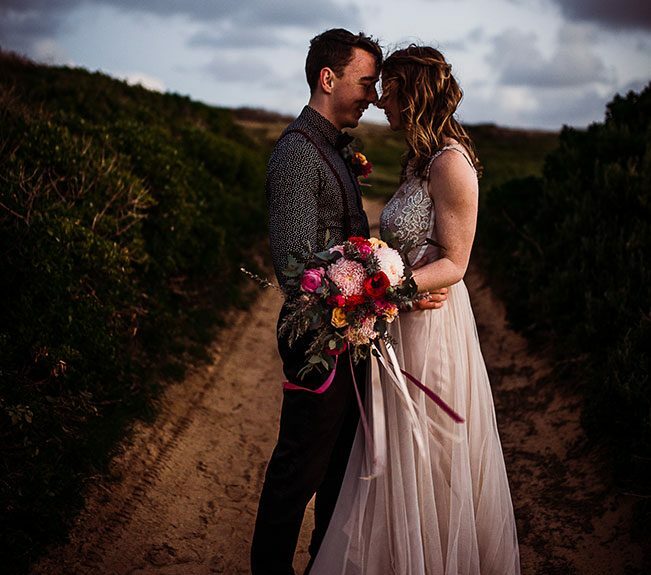 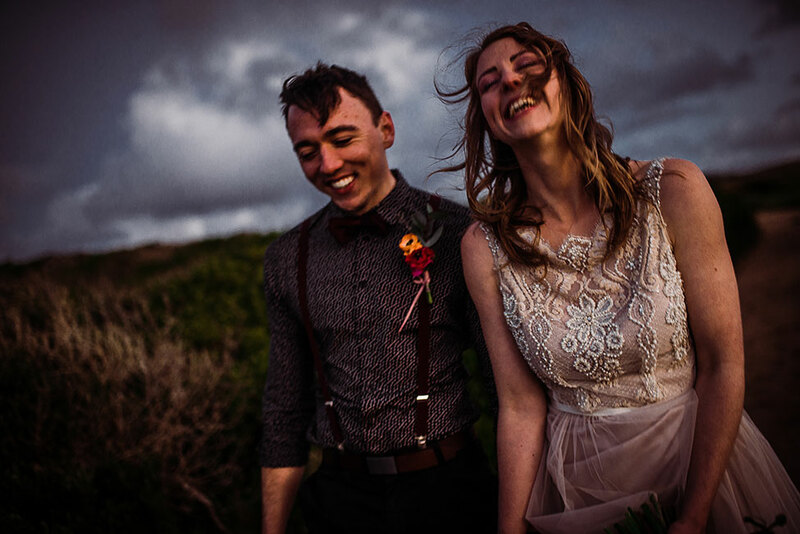 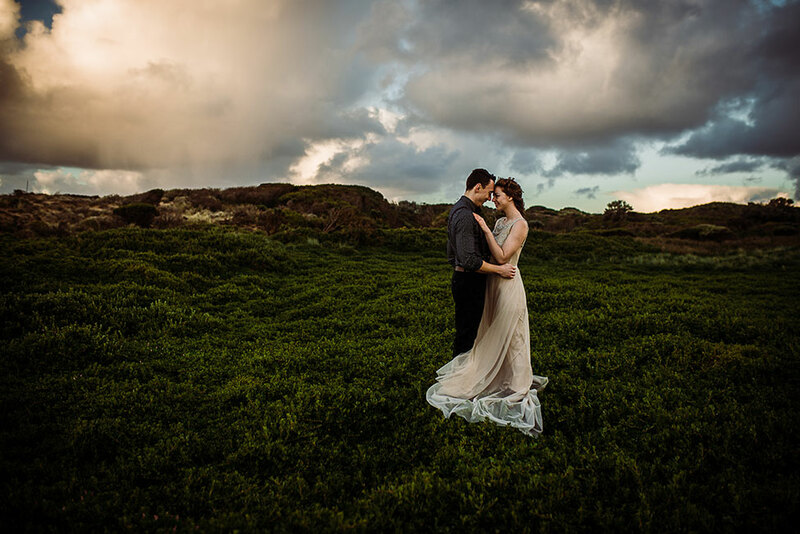 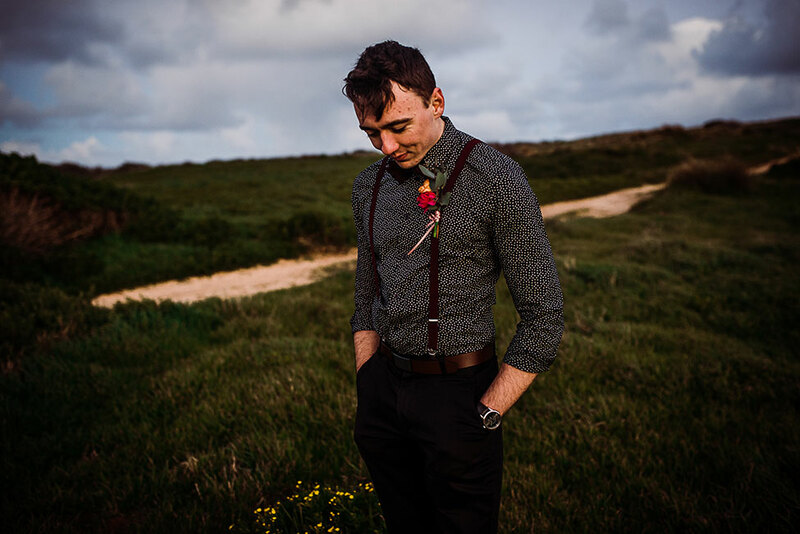 When I stumbled upon Australian wedding photographer Ine Ertvaag Photography styled elopement along the Australian coastline, you can best believe I didnt budge one inch out of bed. 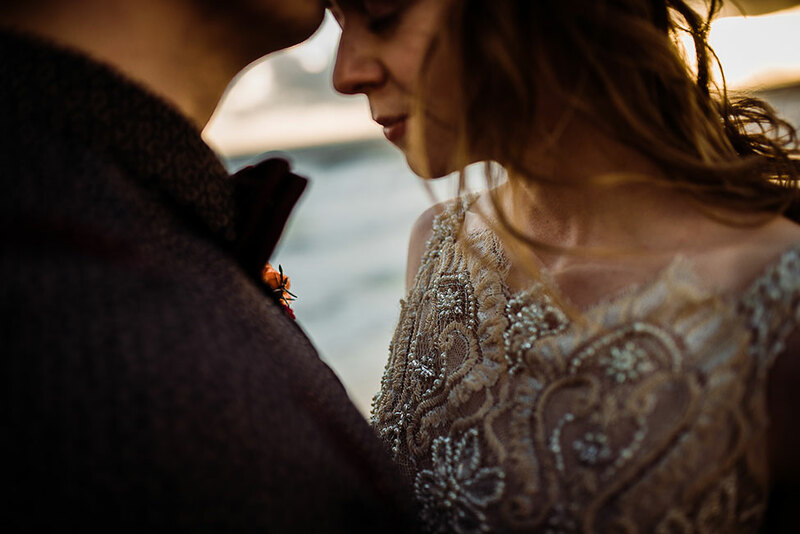 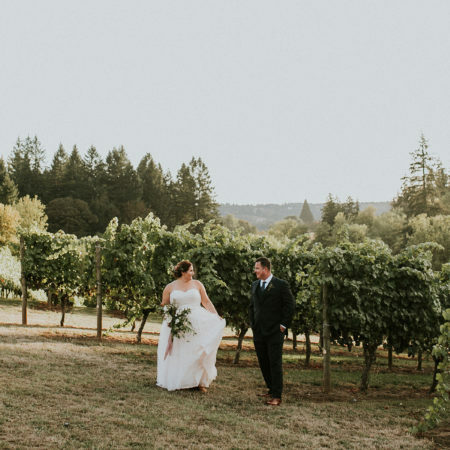 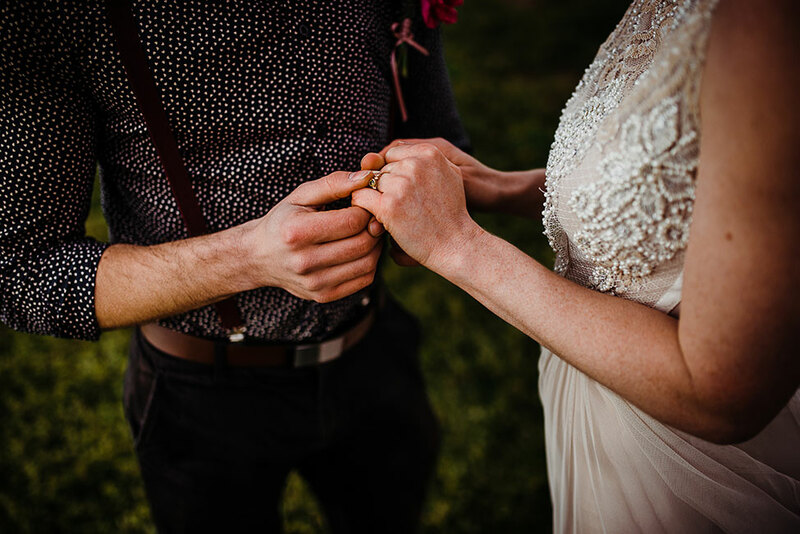 In fact I snuggled down hard as I walked through each and every frame of the elopement. 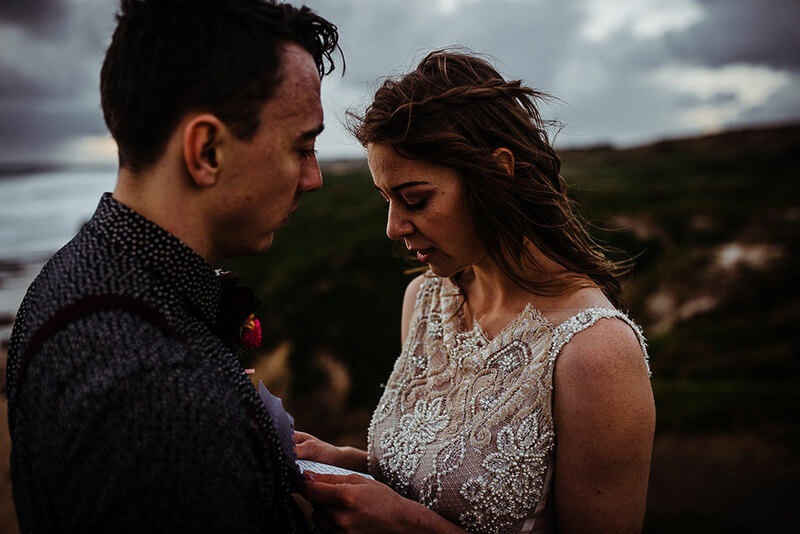 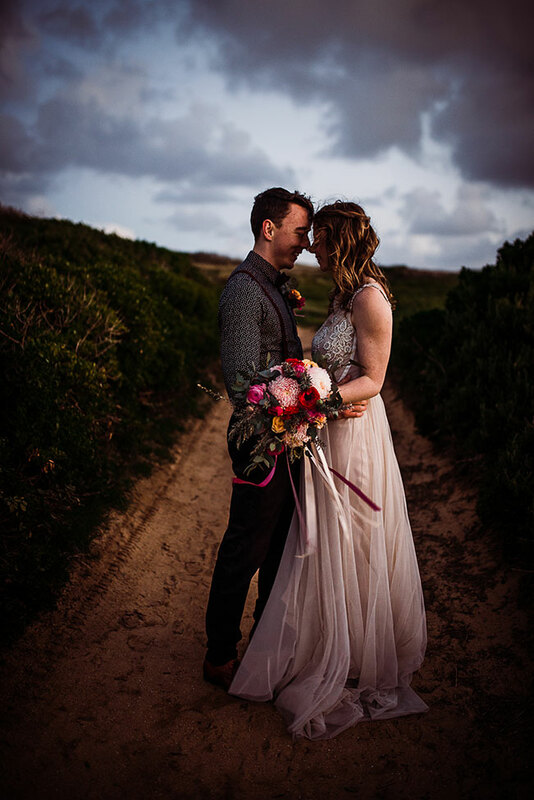 The brilliance to the way that Ine captured such a simple (lacking in details :0 ) elopement is the very fingerprint to why, if dont value you wedding photography, true good wedding photography, you’re a bloody fool. 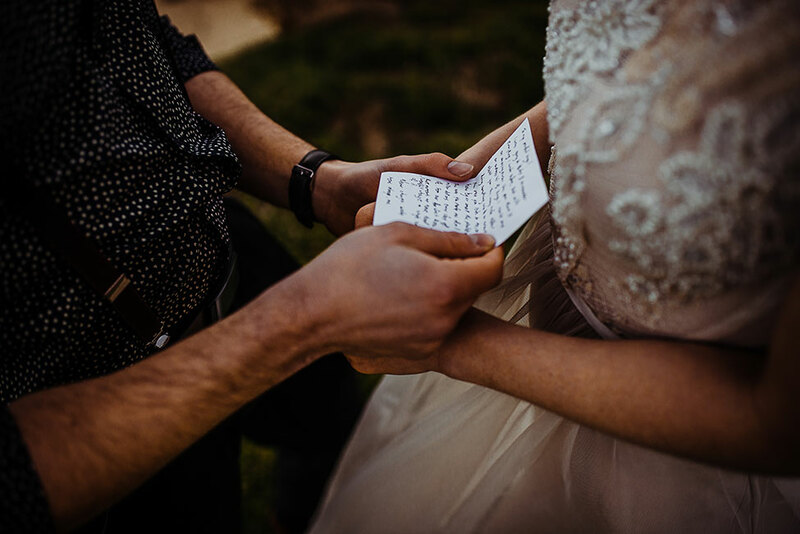 I wasn’t there, but you better believe I was standing right next to them as I leafed through the story. 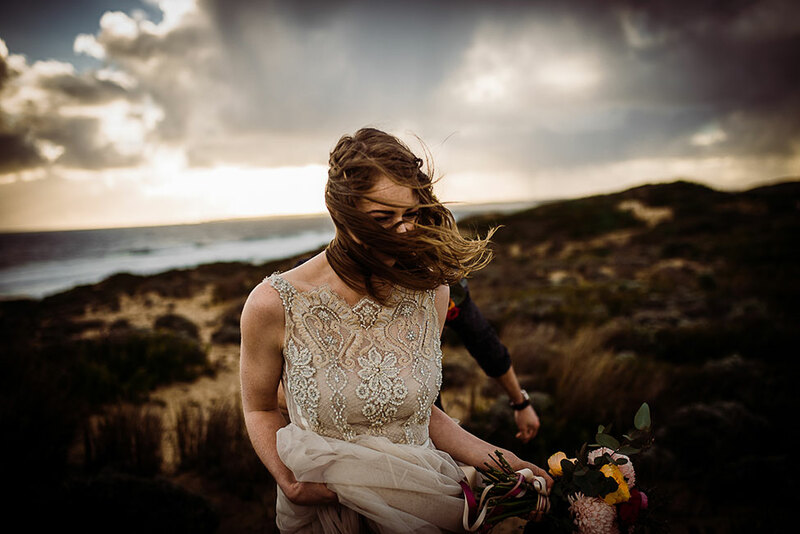 I felt my own hair a complete mess, pushed around with reckless abandon by the wind. 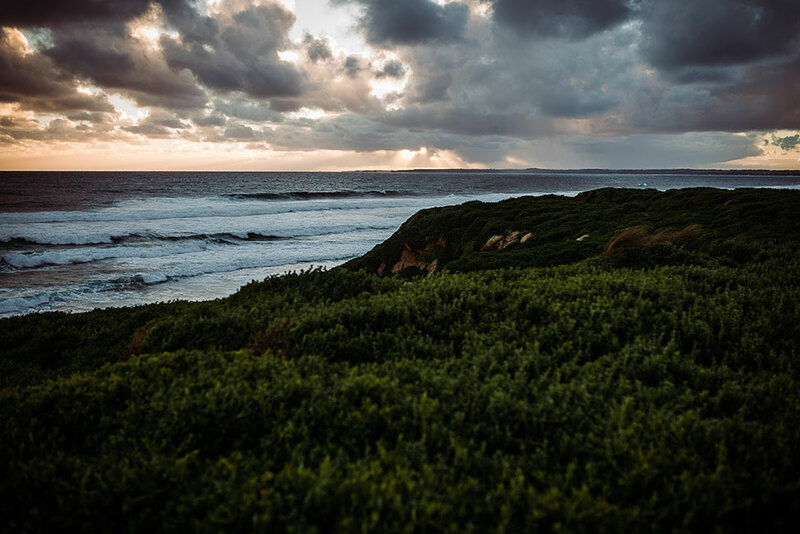 My eyes ached with each adjustment to the fading light. 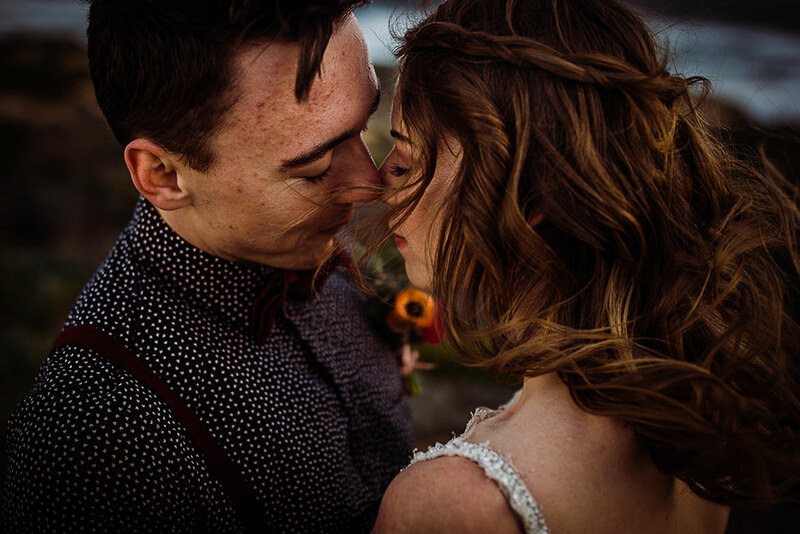 My own skin felt of the very same goosebumps Ine captured as the tendrils of the Gwendolynne wedding dress beat against her skin. 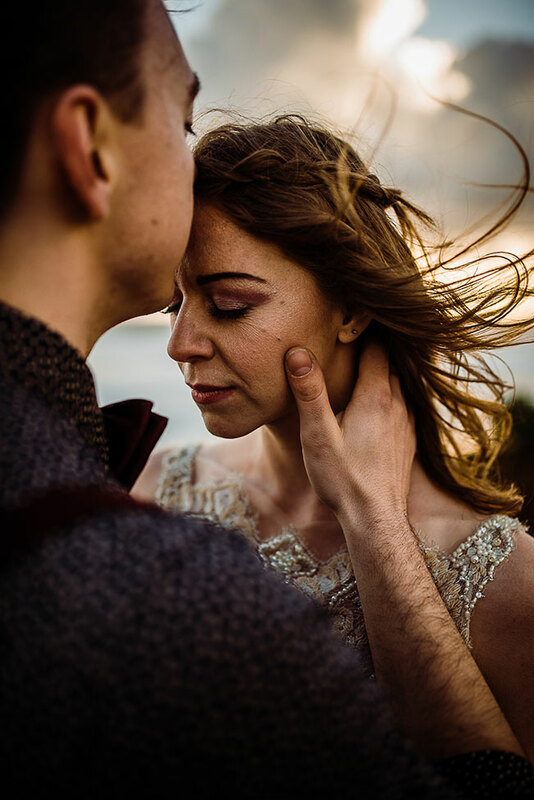 True, honest, & worthy wedding photography is not about being able to look back at images and think to yourself, yup thats is what happened. 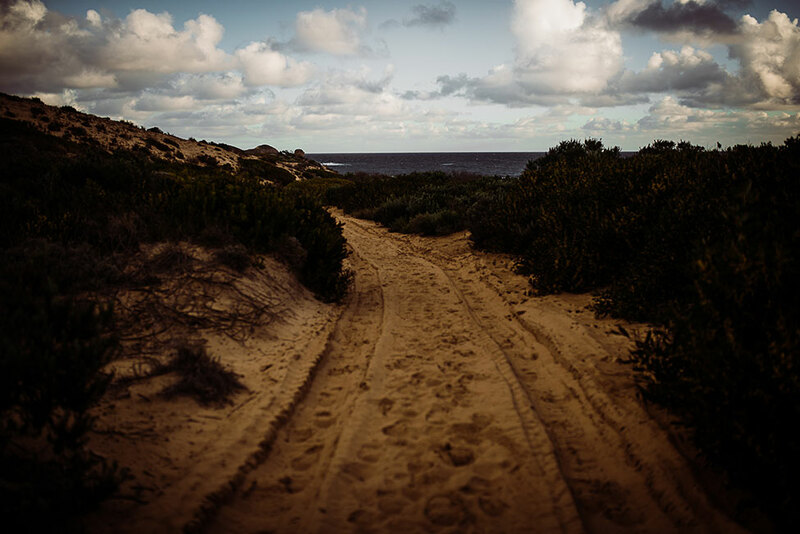 Its about seeing even a solitary image and feeling as if it comes alive in your hand. 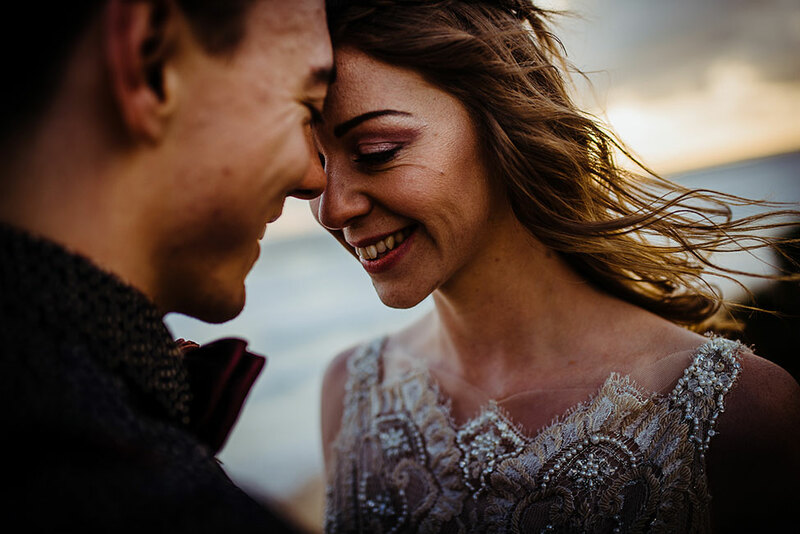 It allows you to immediately reconnect with even the very personal intimate way you felt at that very moment. 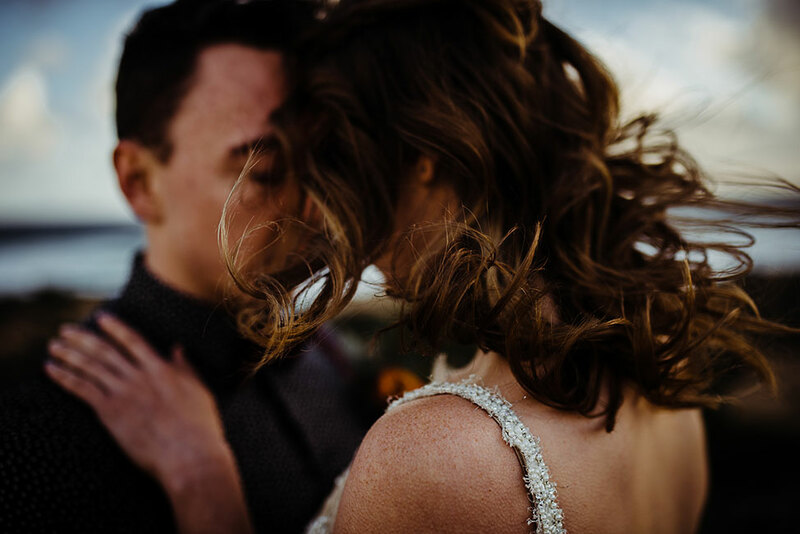 Something only an artful photographer is not just able to see and capitalize on, but capture in the way that allows it to live on.